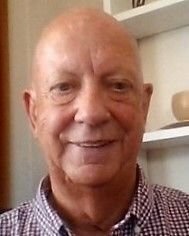 I am a person-centred psychotherapeutic counsellor accredited and registered with the British Association for Counselling and Psychotherapy (BACP) . It's not always easy when thinking about seeking therapy to know what sort of counselling will be best for you. There are many different counselling models. Some counselling models focus on your thoughts and behaviours. Some focus on your past experiences and how they affect how you are now. Some focus on the kind of dynamics in your relationships and some focus on the spiritual dimension of your life, whilst there are other models that seek to integrate many different approaches into one model. 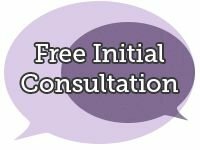 In most of these counselling models the counsellor is the expert of your experience bringing different knowledge and practical strategies and interventions from their particular model of counselling to help you heal and change. The person-centred approach of counselling acknowledges the different things that may impact on how you are and what you do but does not focus on any particular strategies and interventions to help you heal or change. Instead, the person-centred model focuses on you now in your life and in your relationships and on the potential you have to make the best of yourself and your relationships. You are the best person to know what is right for you, what you need to change personally and in your relationships. As a person-centred psychotherapeutic counsellor, I will seek to build a relationship with you based on transparency and genuine empathy and acceptance. In this relationship you will have the opportunity to examine what is going on for you in your life and relationships, and what you want to change, and to trust more your potential for making the right choices and taking the best direction for you. Person-centred counselling is not a passive therapy. We will work closely and actively together to look at what troubles you in your life and relationships. I will bring my knowledge and experience to help you connect with all aspects of your being, your mind, body and spirit, and to change what you need to, and make the choices that are best for you. You will not experience person-centred counselling as a passive therapy with me. We will work closely and actively together to look at what troubles you in your life and relationships. I believe that we are made up of many parts and I will be helping you connect with all the parts of you, and to make changes where you need to. I will work closely and actively alongside you at what troubles you in your life and relationships and how you can be different. I will not just be with you in what you think and in what you do. I believe that there is as much potential in our bodily senses for healing and change as there is in our minds. I will work with you in seeking to open up the process between your mind, body, and spirit and through this process you will have more opportunity to change and to make the choices in life that are best for. I practice from South Coast Wellbeing and Training a Centre for Counselling, Coaching, and Training in Eastbourne I own in partnership with an experienced counsellor, coach , and trainer, Su Orosa.